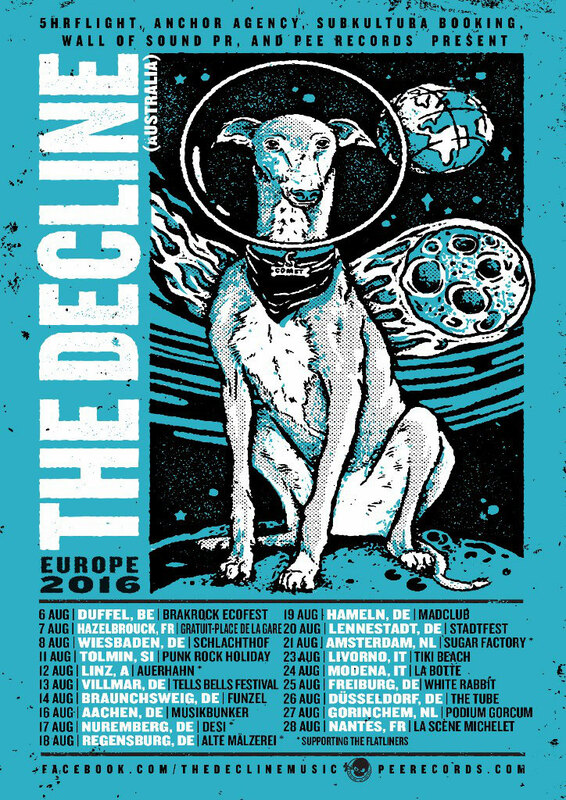 The Decline from Perth, Australia, are to hit Europe this summer for a continent wide tour. Speaking on the upcoming tour dates, Pat Decline said “We’ve always found Europe to be the most welcoming place to visit, ever since the first time we were contacted after our records were downloaded off a blog site. It blew our minds that people on another continent were listening to our stuff. Our first Europe tour in 2013 addicted me to the idea of touring and just going for it. I was aching to go back ever since and last year we had a sweet time playing punk rock holiday, Brakrock Ecofest and heaps of other rad shows. This year we get to do it again and I can’t wait. Bring it!”.